Before packing up our things and moving to rural Ohio I was actually excited to be back where there are seasons and relatively nice weather for most of the year. The one thing I didn’t count on was the complete lack of high speed internet and how it would impact not only my job search (not having bandwidth to post a 500kb PDF resume will make you wonder why you try at all) but also my gaming experience. I never purchased a digital game until I owned a PS4 and was living in Monterey, CA. I had high speed internet through the same company a lot of you probably go through (you know, because monopoly is the new word for competition these days). I bought Grand Theft Auto 5 and loved it as much as I did on PS3, actually, I loved it more. It was rendered beautifully. The problem I faced upon the initial purchase was that it was around a 50GB download and my internet, as fast as it was at the time was going to give me this game after taking about eight hours to download the software. I would then go on to buy Black Ops 3, COD WW2 and many other titles digitally because it seemed like a good idea at the time. What I didn’t consider was the fact that maybe someday I wouldn’t have access to high speed internet. It seemed ridiculous after having had it since 2005. The thing that no one seems to think about is that while the games are a big part of your initial experience they also download patches that are sometimes over 8 GB in size on their own. If you have played any game with online access you most likely have experience with having to wait for a patch to download and install… but wait, there’s more. You might say, buy the game in hard copy form, dummy. Yes, true enough – that’s a valid point to fix the first problem. The patch issue when you have internet that is half a step better than dial-up is enough to make you buy an SNES Classic and find a happy place (Those still exist, right?… A happy place, I mean. The SNES Classic isn’t even available in most places, I digress.). You can’t play your old saves on games that don’t have the updated patch. Your old game saves are tied to the latest patch that you downloaded. So, if you have been playing Dark Souls, The Witcher, Skyrim, Fallout, Bloodborne, etc. and you own the hard copy disc but you deleted one of those games in order to play something new (Battlefield 1 (76 GB), Grand Theft Auto (76 GB), etc.) you will need to not only install the game again, but you will also have to download the patch to be able to load your old saves. I can’t complain in regards to almost any other aspect of life in terms of being fortunate in virtually every other facet of functionality. I know I am lucky to be in the position I currently find myself. However, when it comes to gaming and general accessibility to what is becoming a more internet-centralized world, I am at a loss with quite a few people in rural America. There doesn’t seem to be a true fix for this situation other than demanding better infrastructure when it comes to running fiber optic cable all over the place. You would think that it would be as simple as using your cell phone provider as a hot spot, but the way they throttle your data speed after a rather small amount is used basically puts you into the stone age in terms of internet access. This is why I urge all of you to purchase your games in hard copy form. Sure, you will have to deal with downloading a patch over the course of a week, but imagine how long it would take you to download your next 50 GB game and then be greeted with a patch on top of that. There is good reason to go out and buy your game at a store or however you prefer to acquire a hard copy. It seems that the reason relates to time travel, because my PS4 is living in 1998. Dark Souls – Git Gud or Git Evin? As I play through Dark Souls Remastered I can’t help but understand the nostalgia some Souls enthusiasts have had for the first of the Dark Souls trifecta. As someone that started his FROM Software gaming with Bloodborne and then moved to DS3 and now DS Remastered I must say I am not a purist in terms of playing any of these games with honor when facing the AI. I have been killed by more swords through walls, stairs, and other hit box shenanigans that only SoulsBorne fans can really appreciate. Last night I faced off against the Capra Demon for the sixth time. Whether I got killed by the dogs or the first epic sword swing, etc… I ran out of patience when it came to dodging swings from this a-hole only to get hit through a wall or a pillar. Finally, I decided it was time to come through that mist wall ready with a fire bomb for the puppies. After getting rushed and nearly pummeled to death I climbed the stairs and took out one of the evil doggos. Then I jumped down from the ledge with my fire bomb equipped for the other evil pup… Boom! – one quick victory. Now, for the dual bladed horned jerk – two can play at this cheesy game. I climbed the stairs and then took the wall ledge as far as I could and with my target locked I drop attacked (held my R1 Attack button as I fell on top of the demon). Bam! A chunk of health came off. Eventually it turned into a merry-go-round of sorts as I baited the baddy up the stairs and off the ledge. I would race up and take advantage of when the beast was once again below my original attack place. The demon still found a way to get me a couple of times. Finally, I managed to get it to a point where one more attack would finish the fight. I jumped off the ledge and waited for the follow-up. The beast jumped down… and died on impact. As much as I felt cheated in terms of striking down the beast I felt more joy in knowing that this game has (and continues to) dulled out more punishment than I have given to it and finally getting a small victory in the same way it finds ways to beat me – it was awesome. Some of the purists will say I cheesed the game and I need to ‘git gud’ (Get Good). I disagree… I will continue to git evin (Get Even). Get out there and fight, demon slayer! 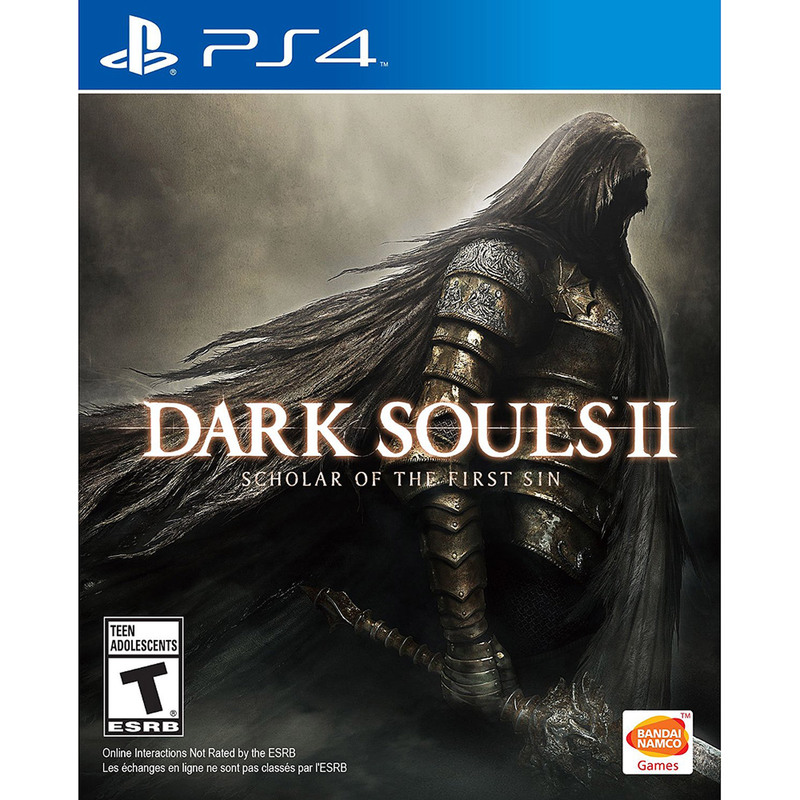 Author NoobTubeTVPosted on June 1, 2018 June 1, 2018 Categories News, Reading, Strategies, Tutorials, VidsTags Bloodborne, Capra Demon, Cheese, Dark Souls, From Software, Git Evin, Git Gud, SoulsBorneLeave a comment on Dark Souls – Git Gud or Git Evin? Every time a new game comes out I am faced with a weird sort of confrontation when I go to put the new case next to the other games/cases in my library. It turns into some kind of intervention experience where games I have not yet completed get a chance to have a brief face to face (or case to face?) meeting with me. With Mass Effect Andromeda coming out in the next few days I decided to make space on my PS4 hard drive and rearrange my games with the slight OCD that I typically have for my media. It was at this moment I realized that I will have about eight months to play through some of the titles I own before Red Dead Redemption 2 comes out and makes me feel the same way I do right now. Today I am going to do something I think a lot of gamers should do once they have a large library and consequently a decent amount of games they own that they have yet to complete (at least in regards to the single player experience). I think the first thing that most should do is decide which games you have the most interest in actually playing through. While this seems easy to do you shouldn’t forget that there is probably a reason you haven’t beaten these games yet. For myself the first aspect is determining why I bothered buying a title to begin with. Did I buy the game for multiplayer or did I buy it for the story (and other quests, etc.) and which cost me the most money – yes, the financial aspect actually matters to me. The other aspect is why I stopped playing through the game to begin with. That actually comes into play in a bigger way that will be covered later. Dark Souls 3, Dragon Age Inquisition, Murdered – Soul Suspect, Dark Souls 2, Shadow of Mordor, Battlefield 1, Call of Duty Infinite Warfare. Dark Souls 3 is a game that I decided to jump into because I had finally beaten Bloodborne. 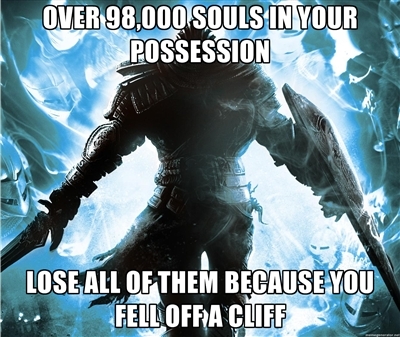 The problem with this is the fact that I never played more than 20 minutes into another Souls game. I somehow managed to beat a few bosses on Dark Souls 3 before getting stuck in some church area on the edge of a bog and a castle/fort. The fact that I am inexperienced in the lore of this game is also something that eats at me. I see so many references on the Dark Souls reddit page that I just don’t understand. So many aspects of leveling weapons, wearing certain rings, doing all sorts of things that are a complete mystery to me and then make me feel like quitting before I start it back up. I wish I could say I’d beat this game someday with any sort of confidence, but I really don’t know that I will have the patience needed to deal with beating the third game in a trilogy that I never experience the beginning or middle of in almost any real way. Dragon Age is a game I that I never got into for whatever reason. I think it’s primarily because every time I find the desire to play it there is a new game available in the same type of fantasy realm that is a bit less cumbersome. I own Dragon Age Origins on my 360 and Inquisition on my PS4. Both games were purchased pre-owned and for a rather cheap price (both were under $10 if memory serves correctly, maybe even closer to $5). They were also both purchased around the time I was starting or finishing Skyrim, The Witcher 3, and Bloodborne. 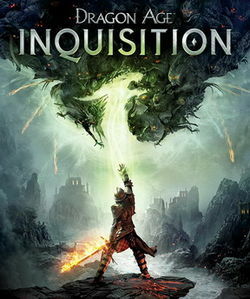 Once I tried to play Dragon Age it felt like I was being punished or relegated to some sort of half-cocked in-between of The Witcher 3 and Skyrim. That doesn’t change the fact that I feel like I am missing out on a huge world and a hopefully big story from BioWare. Murdered – Soul Suspect was a game I bought for the hell of it. I placed a $1.50 bid on eBay and won the game (with free shipping as well). It was clearly an early PS4 release as the graphical presentation wasn’t much to brag about. I did enjoy the concept of an original story and a game that tore at the edges of a new experience in storytelling. The only problem was that I got stuck in a part of the game that became more annoying than it should have been. Between possessing a cat and trying to avoid some sort of SquareSoft version of Harry Potter dementors I lost interest and the general desire to finish the game. 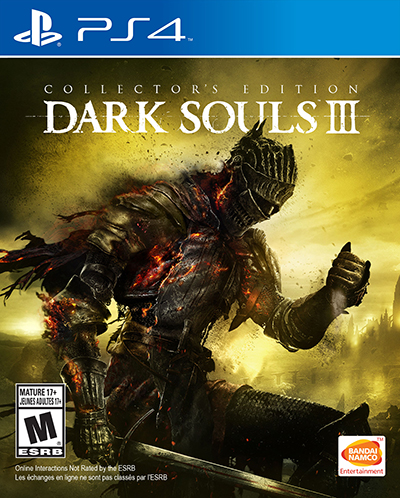 Dark Souls 2 was purchased mostly because I want to play through the games and join whatever club exists that allows us to reference the ‘sun bro’ with a wink and a nod (no, I don’t know what the Sun Bro stuff means… but I want to). The biggest problem I have with Dark Souls 2 is that it feels so clunky and slow compared to Bloodborne and Dark Souls 3. It really is as simple as that. I find it hard to play through a game that is almost prohibitively difficult and when it isn’t enjoyable, it makes it all the less desireable. 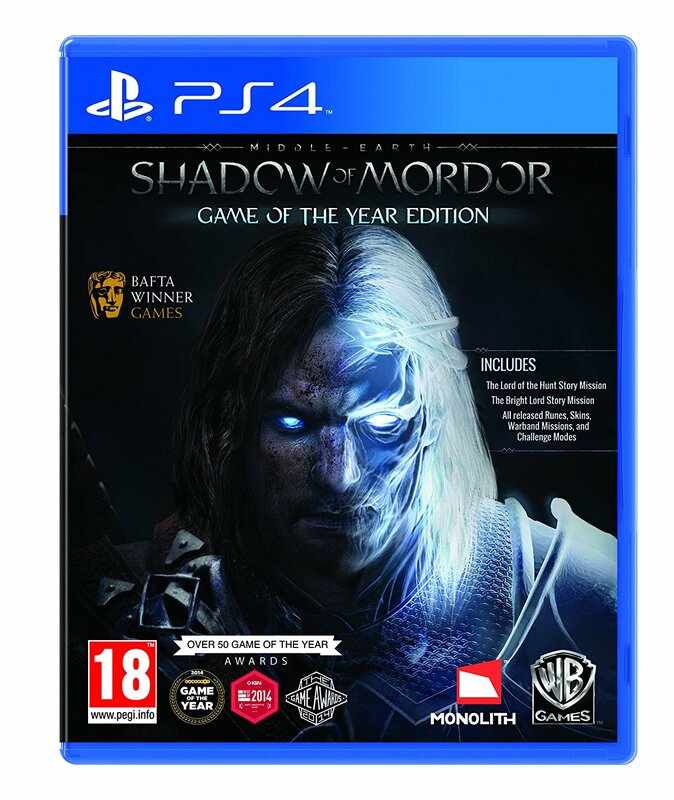 Shadow of Mordor was a game that I had wanted for a long time. My friend actually bought it for me on my 33rd birthday last year. I played about 5-6 hours of the game before I realized that it was a Lord of the Rings version of Assassin’s Creed. Actually, I realized that aspect early on in the game. What took me a bit longer to decide was whether or not I cared to finish the story once I had started playing through. The answer was a big fat ‘no’. I will beat this game at some point, hopefully… I tend to feel that way about games and books bought for me by friends and family. It is almost as if you owe them more than yourself. But Shadow of Mordor is a game that will have to wait until after Dark Souls 2 and 3. So, it might be awhile. 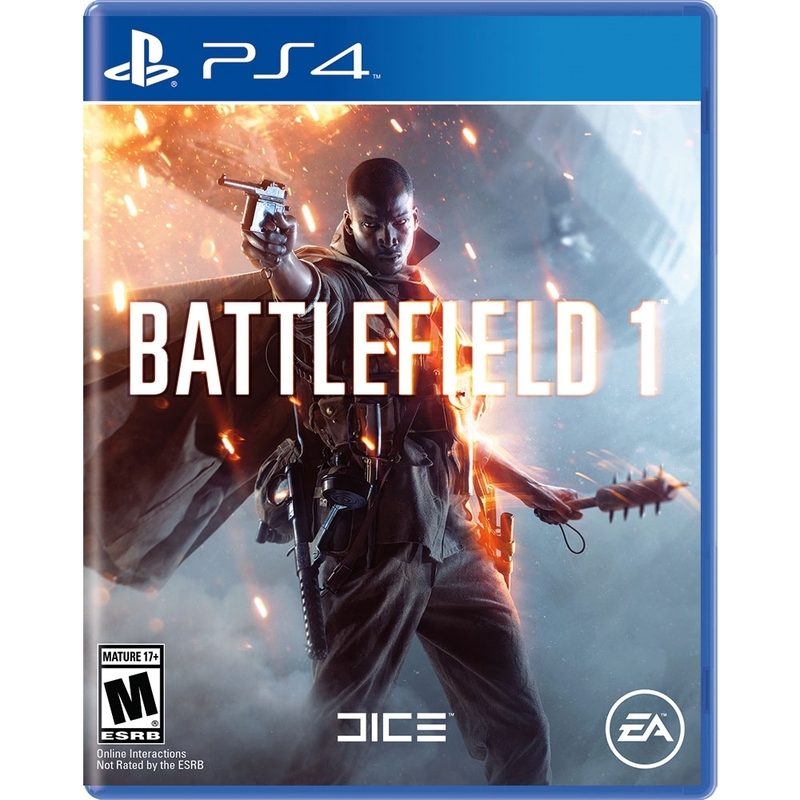 Battlefield 1 is a game I bought for the multiplayer. Face it, EA DICE isn’t really known for putting together any sort of compelling story for their Battlefield series. Bad Company was decent enough in some ways, but I can’t think of any reason other than trophies to play through the campaign of Battlefield. Every time I start to play though any of the single player aspects of this game I feel like I am missing better opportunities to experience ‘Only In Battlefield’ moments… which is why I still own Battlefield 4 as well. Call of Duty Infinite Warfare. Seriously, if you played through Black Ops 3 and finished it without rolling your eyes off the top of your head… I would say you deserve a congratulatory pat on the back, but I really think you might need a hug. 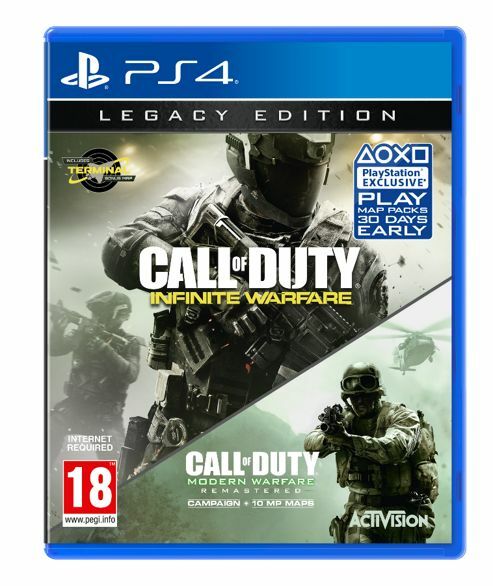 I got Infinite Warfare Legacy Edition for two reasons… It was on sale for $40 (which $35 was covered by selling my Final Fantasy XV) and because I all but worshiped the Modern Warfare series. The only reason Infinite Warfare is installed on my PS4 is because it is required to play Modern Warfare Remastered (talk about a desperate attempt at getting someone to play through another garbage single player experience in COD). I would rather play through Modern Warfare Remastered’s single player campaign instead of Infinite Warfare – that should tell you how interested I am in their stupid attempt to be more like Halo that they ever should have. Now that that is settled, I am somehow less interested in beating any of these games and more excited about Mass Effect – Andromeda. Which games in your library are on your list of ‘To Beat’? After years of playing games from all sorts of genres there is one aspect that determines whether or not a game is truly enjoyable. In the case of video games, this is something that is as subjective as any review that can be given. Primarily because there are different settings for most games out there. Sports games even have sliders that allow you to customize different aspects of the CPU/AI and even your own players to make the game more realistic, challenging or even simply more difficult. Other games (like Dark Souls) are built to put the gamer into a submission hold of difficulty. Often, these games are cast to the side as ‘not worth the trouble’. In the case of Dark Souls I must agree. I played the game for a few hours and couldn’t beat the first boss without wanting to shoot my LCD and throw my PC out the window. I have experienced both sides of gaming when it comes to a game being nearly impossible or simply so easy it is laughable. This is why it is necessary to make the distinction for those of you out there looking for solace. Some games like Madden, NCAA Football and other sports titles have communities that will trash on someone for winning games 50-0 and taking home the championship every year. These slider Nazis are often as bad as any other internet troll when it comes to raining on someone’s gaming parade. This is also why it is necessary for us to understand that making a game more difficult doesn’t mean the same thing as increasing the challenge. What makes sports games difficult for a noob/novice isn’t the intelligence of the opposing CPU team as much as it is learning the controls and maybe even the basic strategies. Once the complex control schemes are learned the game can become relatively simple. In some cases sports games become far too easy for most gamers. This is where you must turn up the challenge in order to have a better experience. Changing the sliders and even your play-style can make for a more challenging and enjoyable gaming experience. Other games like Call of Duty have difficulty levels that really do nothing but increase the damage done to the player by enemies. This isn’t so much difficulty as it is a minor change in how ‘challenging’ the game is. What would truly make the game more difficult would be to make it less forgiving when a player dies. Much like Dark Souls makes it almost infuriating to die (because you become weaker) and lose everything (unless you go pick it back up). Call of Duty, Halo, Killzone and virtually every FPS let you save your progress at numerous checkpoints to prevent you from needing to play through the same long sections every time you die. Some games are just not the preferred style of gamers. Often you will see a rift between fans of Splinter Cell and Metal Gear Solid. While neither of these games are necessarily more difficult than the other they have different functions and handle differently. It is always going to start with style and preference but in the end a game comes down to complexity. It is in that spirit that Metal Gear is a bit more difficult than Splinter Cell. That isn’t to say that Splinter Cell isn’t challenging or possibly more ‘realistic’ but many gamers decide on these two games based on style rather than challenge. This isn’t to say that I want my experiences in first person shooters like Call of Duty to be more difficult. I often play those games for a break from my life that can be difficult enough. Perhaps that is why we need to realize that there is a difference in how we should look at our gaming experience and even the experience of others. While some games present us with almost impossible tasks and difficulty others will give us the ability to lay back, hang out and wreak digital carnage all over the place without breaking a sweat… or thinking too much. Where do you stand? Do you prefer a game to be downright difficult/complex or do you prefer something simply more challenging?